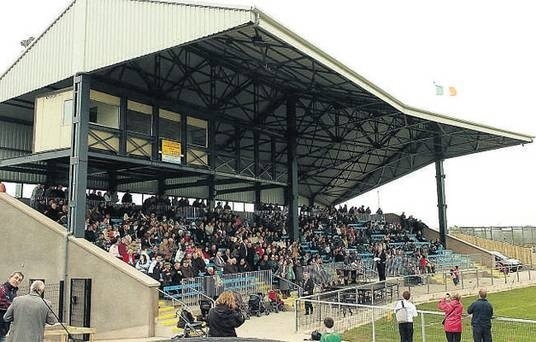 Thousands of expectant Armagh supporters were said to be beyond anger after it emerged a Carrickmore entrepreneur sold 4000 tickets to Orchard fans for the Nally Stand which now resides at the Carrickmore GAA ground. Armagh, who hadn’t appeared in Croke Park in decades, panic bought tickets at the last minute from a man in a green and yellow jersey, promising them ‘deadly views of the field’ and brilliant parking for the game against Kildare last week. The Nally Stand was bought by the Carrickmore club almost ten years ago but had been operating at a loss until this weekend. Meanwhile, Fearon admitted that the journey wasn’t wasted as he vowed he’d be back in mid Tyrone to taste again the delicious scones provided at half time by Conor Gormley. Posted on August 2, 2014, in Armagh, Carrickmore and tagged Armagh, Carrickmore, nally stand. Bookmark the permalink. 1 Comment. working hard for his website, as here every data is quality based material.